The cloud; it is the most popular buzzword in the world of technology today. Data integrity within cloud storage is perhaps the greatest concern that most people have, both personally and professionally, with the cloud. Put simply, cloud computing is a combination of hosted applications, data storage and remote server access through the internet. "The cloud" is where all of those applications and data are stored. 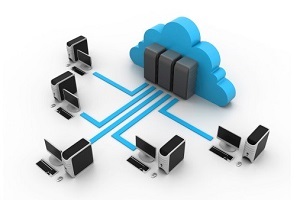 Many individuals and businesses use the cloud in some format, often without knowing. Social networks and email applications are two of the most common uses. On a daily basis, there are millions of people around the globe uploading data to the cloud. When you purchase your favorite artist’s new album on iTunes, it can be uploaded to the cloud by your iPhone and accessed from many other devices. The same can be done with photos, videos, apps and more that are downloaded on your device but stored in the cloud. Nowadays, a common term is cloud computing, which refers to the ability for users to access data, applications and services remotely via the internet. And that's what it's all about, enabling remote access - and keeping everything safe and secure. What happens when you store professional data within cloud storage? Though losing personal data is tragic, the stakes are even higher for business data. Business contact lists, customer information, subscriber lists and payment information represent just a few examples of corporate data stored in the cloud. What happens when this information goes missing? According to Iron Mountain, global data loss is up 400% since 2012. In the cloud, the risk of data loss exists – much in the same way it exists for hardware-based storage technology. For both situations, security solutions are available – back-ups, security software, redundancies and more. Before we look closer at those, let’s consider how data gets lost. There are a variety of ways to lose data in the cloud. Sometimes technology fails. Computers freeze and backup copies are lost. Other times, servers crash and the information contained within is lost. These are all potential sources of data loss, and the cloud is not exempt from technology failure or human error. Accidental Deletion/User Error: Perhaps the most common source of data loss when using cloud storage is unintentional deletion. Overwriting Data: It is also possible to have information mistakenly overwritten by users or by applications. Software-as-a-Service (SaaS) applications are a potential source of massive data loss. These apps hold and continuously update large data sets. New information has the potential to overwrite old information and can cause data sets to be partially overwritten in the process. 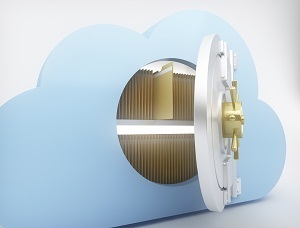 Malicious Actions: Most cloud storage providers go to great lengths to secure their networks and your data, but not all attacks can be prevented. There are a variety of problems that can arise from lost data, such as damage to your image, reputation and litigation from customers whose private information is exposed and/or lost. However, there are ways to minimize the risk of data loss and ensure the security of your data stored in cloud storage. Technology service providers offer robust cloud storage options that provide you with ample storage, affordable pricing and, most importantly, robust security. When you work with a cloud service provider on a cloud storage solution, you have access to the best software programs available (at a price you can afford) and a team of highly-skilled experts that can optimize your cloud storage and mitigate threats to your information. Data storage may never be perfect, but there are solutions available to mitigate risks and provide security. If you are interested in working with a technology service provider to develop a secure cloud storage solution, request a consultation.